“The West is the cause of all problems in the world, whereas Russia is invariably the only source of positive hope”. This is the conclusion of a recent study on the messages from Russian TV channels in Moldova, published by the Association of independent press (API). In spring 2017, API monitored for one month the newscasts, analytical programmes and talk shows of five Russian TV networks that are directly relayed into Moldovan homes: State channels Pervy Kanal and RTR, the Gazprom-owned station NTV as well as private networks REN TV and STS. The study found that Pervy Kanal, RTR, NTV and REN TV cover international news in a strikingly similar way (no newscasts from STS were part of the monitoring). These outlets portray political events to demonstrate the West’s responsibility “for all negative things happening in the region and worldwide”. At the same time, Russia and its President Vladimir Putin are presented as the “only true fighters for peace and for the self-determination of the peoples in the world, as fighting terrorism, loyal defender of democratic values and Christianity”. 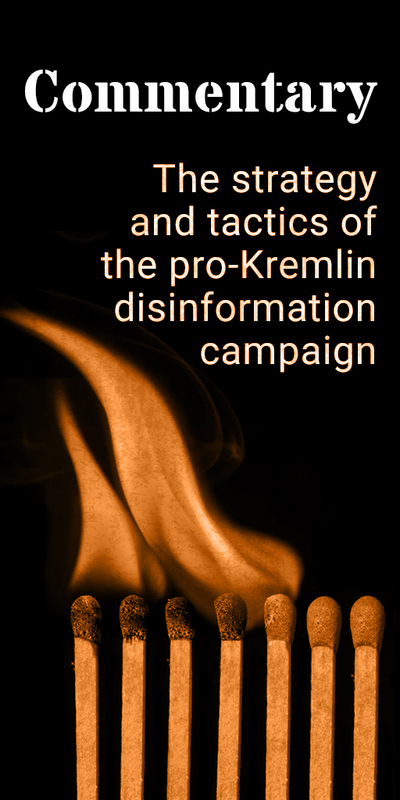 At the same time, the authors say that REN TV’s programmes generally “promote Russian lifestyle and culture, glorify the Russian army, and acclaim the President Vladimir Putin”. The study notes that RTR advertised the “greatness of Russia and President Vladimir Putin”, “guarantor of prosperity for the peoples of the former USSR”. The propaganda techniques employed also frequently overlap between the stations: As a rule, the study highlights, news broadcasts were one-sided and the right to response and pluralism of opinions were not ensured. News anchors used derogatory terms and showed their opinions. 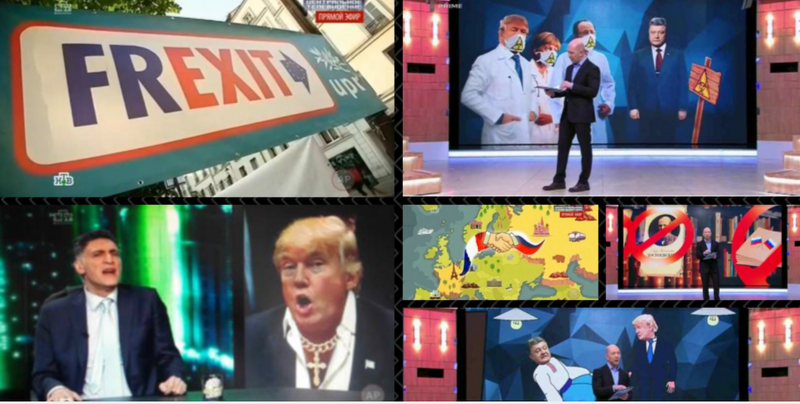 In Pervy Kanal and other networks, caricatures and collages were used to show Ukrainian leaders and the country’s Western partners in a negative light. STS was not covered in the news monitoring. 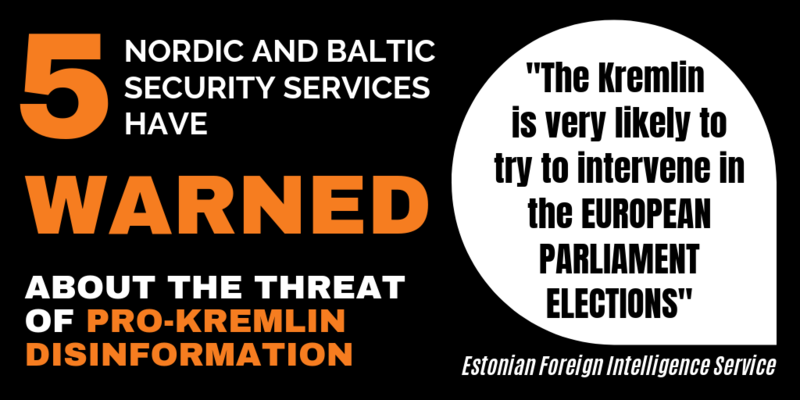 As it is an entertainment channel, the API study found numerous examples of sketches subtly mocking the US and conveying “anti-European, anti-German and anti-Ukrainian messages”. For example, an entertainment show at the end of March conveyed the message that young people studying in Europe will change their sexual orientation, a “stereotype widely held within the Russian society”. Other sketches demonstrate that Germany continues to be Russia’s enemy and “Russians could easily defeat them”.